We are bringing back a regular article from the FLC Blog- weekly literacy stories. 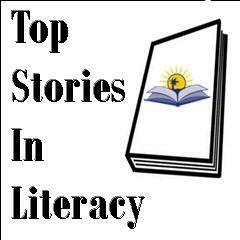 Each week we will highlight the top stories focused on literacy in state or national news. Connect to Compete (C2C), Inc. today announced a national three-year Ad Council campaign to promote the importance of digital literacy and motivate individuals and families to access free community resources and training. The multimedia public service campaign, which will be developed in both English and Spanish, will begin in January 2013. InCharge® Debt Solutions was awarded a $148,750 grant by Chase Card Services, a division of JPMorgan Chase & Co., to help support an educational program focused on providing financial education and counseling to local community members. Throughout the 2011/2012 school year, the graduates earned high school credits in IRSC’s Adult High School or completed preparation and passed the General Educational Development (GED) exam at IRSC Adult Education sites throughout St. Lucie, Martin, Indian River, and Okeechobee counties. Hundreds of people gathered outside Tuesday’s meeting of the Los Angeles Unified School District board to show their support for adult education. If the programs go away, protesters say more than a quarter million people will be shut out of classes they need to make a contribution to society. Working for ZeroDivide, a San Francisco-based nonprofit organization with a history of helping low income, minority, and other underserved communities leverage technology for social good, I think there’s a big piece missing from the studies about the digital divide. Debt Management Credit Counseling Corp, a nonprofit charitable organization (DMCC), announces new program to assist consumers struggling to repay payday loans. Program provides repayment plans with affordable monthly payments and suspension of collection calls. DMCC also approved by state to provide Florida residents a 60-day deferment of their loan payments. Florida Representative Alan Williams made a visit to the Adult Community Education campus Thursday morning to speak to students. Williams, a member of the Higher Education Appropriations Subcommittee, helps make decisions about the funding for Adult Education in Florida. The Progress Energy Foundation is putting half a million dollar investment in the Florida school system. The money will fund energy education classroom projects as well as workforce development at high school career academies throughout the state. The funds will support public-education foundations, science centers and career academies. Latinos are widely recognized as leading technology adopters – from mobile phones and devices to tablet computers, Latinos lead Americans in purchasing, and using this technology for some reasons we understand, and others we are just beginning to. Despite these facts, the digital divide yet to be addressed is in two areas: internet at home and digital literacy. Microsoft, with assistance from the U.S. Department of Labor in a liaison role, and local workforce areas, is proud to offer U.S. military veterans and their eligible spouses, vouchers for no-cost IT skills training and certification designed to help build the technology skills employers are looking for. Could you use this in your program? A new series of research-based educational materials from Unum offers personal stories, compelling statistics and clear explanations of the role employee benefits play in protecting the financial foundations of individuals, families, businesses and the government. In 2007, 56% of American adults reported seeking health information from sources other than their physician, including the Internet, books, magazines, and newspapers; friends or relatives; and radio or television. This number has since declined. Where are people getting this information? Where else can this be addressed? While some people have graduated high school with functional reading skills, this is not enough to meet the demands of American society. Financial, health, digital, and interpersonal literacy are all large components to be truly functional. Whether people are donating for tax purposes, or because they are genuinely empathetic, research shows that they are happier and live longer. You might want to include some of these statistics in your next fundraising letter. In the nonprofit world, there are a million things going on at once and only time to give attention to half of them. While you might feel like you don’t have time to devote to social media, here are some tips to make the process easier. Quality Health Plans, a Medicare HMO with 10,000 Florida members, has been ordered into liquidation after failing to come up with the cash reserves the state says were needed. While the members will be moved to a new plan, this information could be useful to your students. The National Financial Educators Council is starting a campaign called Financial EduNation that will provide organizations and communities with solid resources for combating financial illiteracy at the local level. This program will start at the New Year and provide resources for students, parents and the rest of the community.